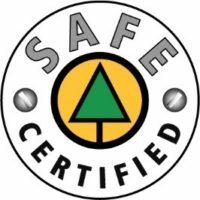 Transcendent Mining and Mobilization Inc. (TMM) is COR certified through BC Construction Safety Alliance, Alberta Construction Safety Association, National Safety Association and BC Forest Safe. 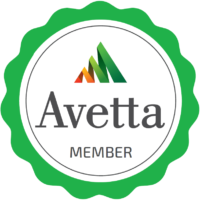 We have also been a member with Avetta (PICS) since our inception in 2014. Our Safety Lead and Office Manager has 25 plus years in safety and is a certified COR Internal Auditor, a Supervisor for Open Pit Mining, Paramedic in Industry and has many other Safety and Emergency Rescue and training certifications. We also have a Field Safety Personnel who has been working with safety services since 2004 along with Paramedic in Industry, Loss Control Management and many other rescue and training certifications. Both individuals continually update and implement the OH&S manual, update and implementation of the Safe Work Practices, facilitate monthly safety meetings, Field safety audits, JSA training, organizing the JOHS program, access control on project sites, Incident Investigation, new hire orientations along with Drug analysis, EHSC and EPWP forms, maintaining the fire extinguisher program and Lock Out Tag Out program. All management, foreman and supervisors are certified with either Supervisor for Open Pit Mining certification or Shift Boss Ticket for Open Pit Mining (BC Ministry of Mines). An extensive Occupational Health and Safety Manual, both hard copy and electronic. Procedures for new hire orientation and contractor orientation. Full chronological filing system paper and EFILE. First Aid: First aid form, first aid record and chronological file, follow-up file and chronological file, first aid inventory and other appropriate forms. With a Return to Work Policy and program. Safety Statistical tracking with accumulative employee working hours. Fully Equipped Emergency Transport Vehicle with OFA Level 3 attendants. Full incident reporting system: Our field safety personnel is directly involved with all incident investigation. Upon report, they will go to the site and implement our investigation process (please see OH&S Manual at TMM office, also supplied by Avetta). After all documentation is completed and recommendations are set forth by all parties, the field safety personnel will work with the GM and Office Manager to create a corrective action plan. Tracking system for fire extinguishers on equipment, pick-ups, project sites and main office. All equipment forms are reviewed daily and put into a tracking system. Safety issues are dealt with immediately and scheduled maintenance is coordinated with mechanics. Random inspections are completed on various projects by field safety personnel. All FLHAs (Field Level Hazard Assessment) forms are tracked daily and each individual is accountable for handing in their form at the end of the day. Incident investigation, witness statement form, Incident warning forms, each area is tracked and implemented into our safety statistical summary. We have a full access control system for required projects with safety and security guidelines. WHMIS: Full in-house training, in place of conducting online training; power point, quiz and answers and certificate. Courageous Safety Leadership (Teck Coal) – This training is a joint venture with Teck Coal. TMM also has a JHSC – Joint Health and Safety Committee which includes workers from each project within Teck Coal and other projects outside of the mining industry. TMM has implemented a Lock Out Tag Out program that coincides with Teck requirements including a quiz and sign off form; our field safety personnel facilitates as an internal instructor. Each employee is issued a personal lock and certification form which is tracked through our LOTO system. HEI – Hazardous Energy Isolation (Teck Coal) Training: Full in-house training, in place of conducting online training; power point, quiz and answers and certificate. 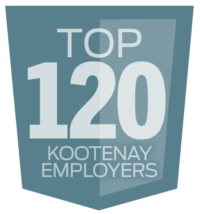 This program is passed offered to other contractors working for Teck Coal. Being exceptional safety representatives for Transcendent Mining and Mobilization Inc.
Transcendent Mining And Mobilization Inc. relies on Courageous Safety Leaders in the corporation at all levels to have a safe, productive work environment. A successful business gets in touch with its employees by interacting with people and implementing a culture of safety “one on one”. Acknowledging good safety practices and workers actively involving themselves in implementation is one of Transcendent Mining And Mobilization Inc.‘s core values. A New division of Transcendent Mining! Proud of our February STAR!!! This video is sad to watch. Please help this amazing family in this time of need. Congratulate our December Safety Star......Rick Prochner!